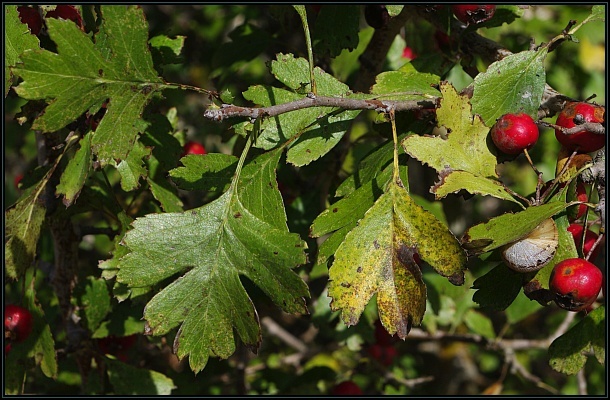 The Common Hawthorn (Crataegus monogyna) is a small tree which is uncommon in the Maltese Islands. 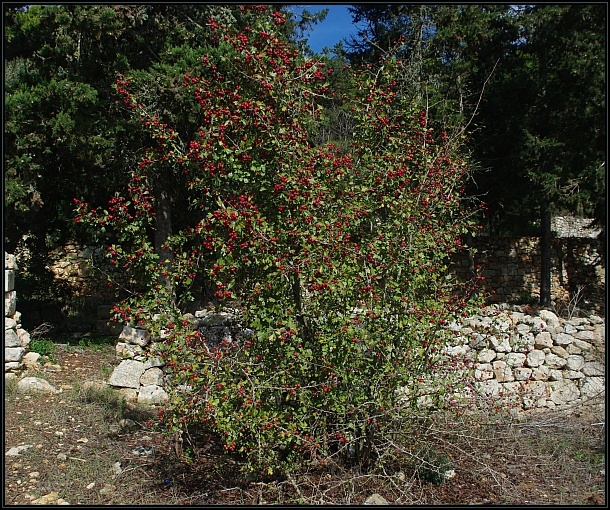 The tree has long spines on the smaller branches and white flowers appear in spring. 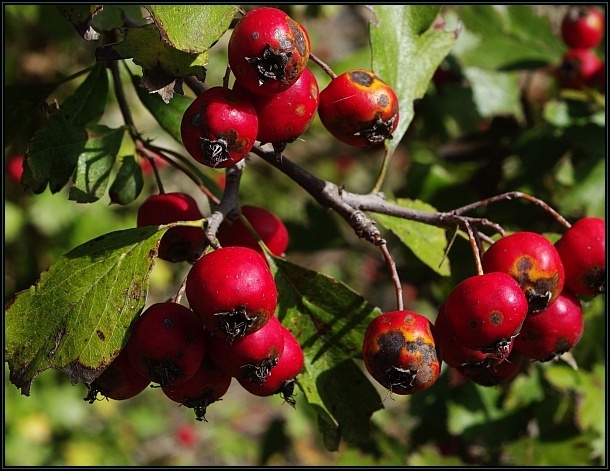 A red fruit appears in late summer containing only 1 seed (as its epithet implies).